Eco- friendly tourism involves the education of environmental issues such as, the protection of natural resources or endangered species but also education about the cultural and historical values particular for the region. In addition to visiting the natural areas there also should be an effort to protect and empowering the local community, socially and economically. All Moroccan and foreign tourists should adopt the "leave no trace" behavior. For example if you plan a picnic in a natural site it will be much easier to leave no trace if you use traditional products : bread, pastries, fruits, dry fruits (dates, apricots, figs, raisins...), almonds, nuts... Avoid modern products with non biodegradable packages. Collect all your waste and bring them back in a town where garbage collection is organized. The medina is exellent for walking tours. Essaouira is a small town and suited for walking tours or by bicycle. The nearest regions can be reached by bicycle or by local transportation with bus or shared taxis. The 150 km coast is a landscape of rocks and wild beaches of sand. Small typical villages of fishermen. The see offer exellent conditions for surf, wind- and kitesurfing. 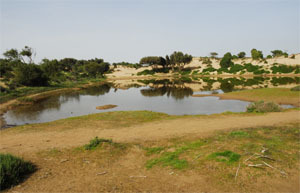 45% of the surface of the Province is covered with forests of Thuja or Argan trees. 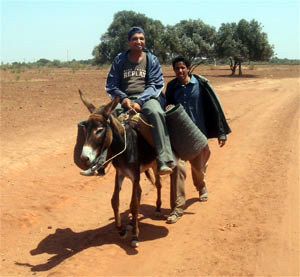 Rural villages and souks are plenty. Start at Plage Safi easy walk along the northwestern shore south to to the Port, passing outside the ramparts of the medina. The full length of this trip is only possible at low tide and most pleasant when it is not too windy. 17th century fort built by Moulay Ismail. 10 km south of Souira Qadima. Province of Safi. 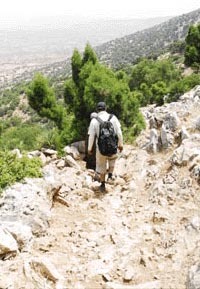 Visit the Argan forest and learn about arganoil production in a local village.